Would you believe me if I told you there is a magical recipe for gluten-free paleo pancakes that require only 3 ingredients? 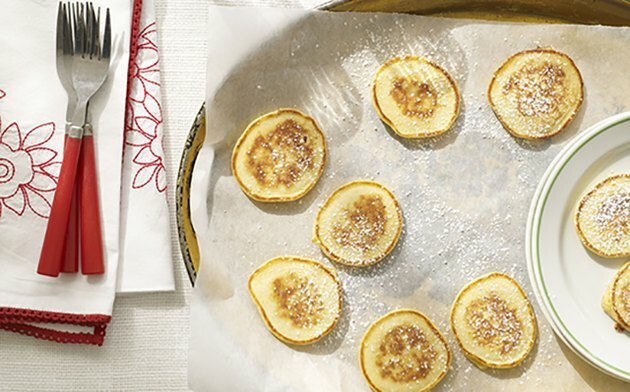 The ease of making them will blow your pancake-loving mind, and they taste amazing too! How is it possible that we all didn’t know about these years ago? 1. Peel banana and put it into a mug or small bowl. 2. Mash the banana with a fork until it has achieved a fairly smooth gooey consistency. 3. Crack and stir in the eggs, and make sure the whole mixture is blended and smooth without any large banana chunks. This is your pancake batter! 4. Heat a griddle or non-stick pan on medium heat. 5. Grease griddle with coconut oil, butter, olive oil or nonstick cooking spray. 6. Pour the batter onto the griddle in small pancake circles. Aim to make them smaller than normal pancakes, i.e. the size of silver dollars. After approximately one minute of cooking, flip your pancakes. 7. Enjoy them plain, or add a small sprinkle of powdered sugar or drizzle of pure maple syrup, honey or agave nectar. Why Are These Pancakes a Healthy Breakfast? The eggs provide practically all the protein to these pancakes (12 grams of protein — 6 grams of which are found in the yolks!) 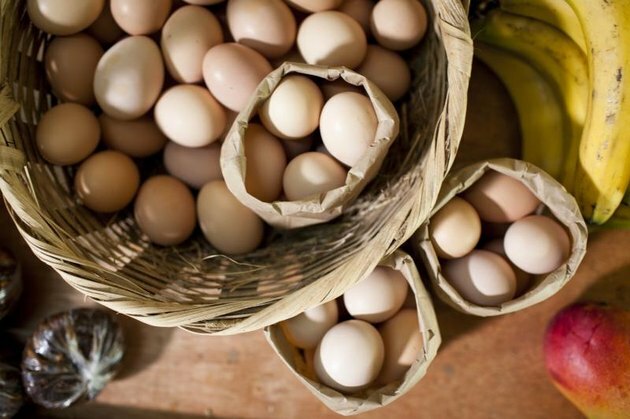 Additionally, the egg contains 13 essential vitamins and minerals (including substantial amounts of vitamin A and vitamin B12) and all nine essential amino acids that the human body is unable to produce itself and must be supplied by the foods we eat. Amino acids are used for repairing and building muscle tissue, so they're essential for all of us. The banana supplies 13% of your daily potassium requirements as well as 3 grams of fiber and an additional gram of protein. Readers - Do you love pancakes too? Did you know you could make them paleo-friendly and gluten-free with just bananas and eggs? Will you try this recipe? What are some of your favorite breakfasts? Leave a comment below and let us know.